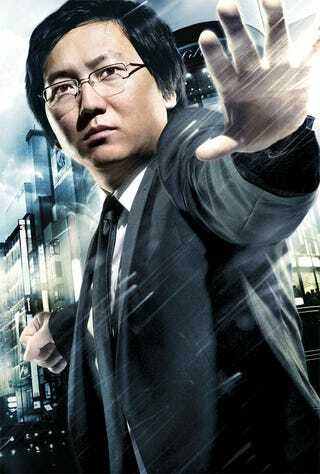 Can Masi Oka Create A Decent Story About Saving The World? Masi Oka's character on Heroes has dispensed so much conventional wisdom about heroism, it gives the entire audience nosebleeds. But now Oka is set to show us the true nature of heroism: via a story about massively multiplayer online games. Oka tells The Hollywood Reporter that his hours spent playing MMORPGs gave him the idea for his new movie, The Defenders, about a group of teen players who must emerge from behind their avatars to join forces against a real-world menace. "You can be whoever you want to be," Oka says of gamers. "The question came to me: What if you had to live up to the person you created in the virtual world?" He pitched the idea to genre giants Roberto Orci and Alex Kurtzman (currently riding high with Transformers: Revenge of the Fallen and Star Trek), who had been looking for Spielberg-type teen group adventure movies (à la The Goonies) to produce. Writing the screenplay for The Defenders will be Oka's World of Warcraft pal Gary Whitta (screenwriter of The Book of Eli, next year's postapocalyptic thriller from the Hughes brothers, starring Denzel Washington). DJ Caruso (Eagle Eye) is signed up to direct. Naturally, there'll be a videogame tie-in. We hope Oka's gaming buddy writes him a big part in the movie, though its teen focus makes that sound unlikely. And we hope the film turns out to be more than just an excuse to concoct a cool new game. Still, we're all for a modern-day Goonies-type tale. Sloth lives!